Led by millennials, some 88 million Americans plan to take family vacations this year. According to the latest research from AAA Travel and the Automobile Club of Southern California, 44 percent of millennials are planning a family getaway, more than members of Generation X (39 percent) or baby boomers (32 percent). “We’ve seen increased demand for international travel overall, and that trend is now starting to appeal to families,” said Andre. For families traveling domestically, expensive gas prices – the highest prices seen since 2014 – are not stopping vacation planners from packing up their cars for a road trip. They remain the most popular option for family vacations, with nearly two-thirds (64 percent) of those planning a trip expected to hit the roads. TownePlace Suites Bakersfield West (AAA Three Diamond property): Spacious two-room units with a full kitchen. This modern home away from home offers an outdoor barbecue grill, fire pit facing the pool and an outside fireplace with seating. Spacious and stylishly appointed guest rooms include a sofa sleeper. Ramada Hotel San Diego North and Conference Center (AAA Two Diamond property): Built in the 1960s as the Sands Hotel, this retro-style hotel has spacious grounds, with a large central pool great for families. The palm tree-filled property houses spacious, colorful guest rooms, many opening out to the pool area. Dine on-site at Proud Mary's Southern Bar & Grill, which on occasion hosts live music. 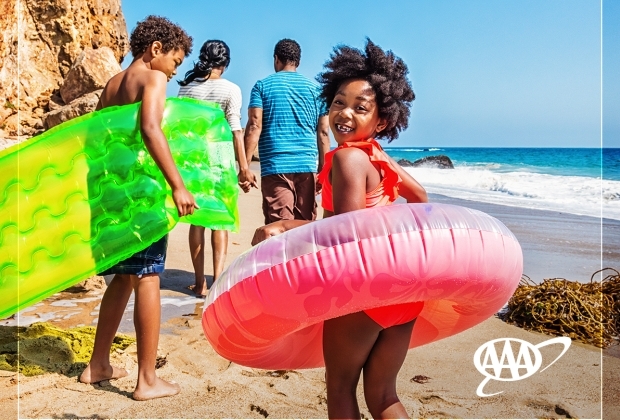 To learn more and begin planning a trip, visit AAA.com/TravelTips.